Don’t chance it with your home's exterior. We’ll save you time, headaches, & money. I just wanted to thank you and your crew for a job well done! I enjoyed working with you and those employees that worked on the house. They were always willing to answer my questions and the home looks great! Please tell them thanks for all they did. I will highly recommend Ram Builders to my friends. 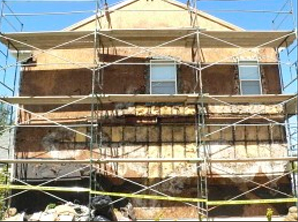 All of us at RAM Builders Stucco & Exteriors have our roots in building. Our experience and our close association with world leaders in remedial construction engineering gives us a unique understanding and approach to what we do. 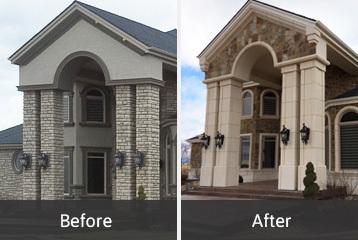 At RAM Builders Stucco & Exteriors we specialize in remedial construction . 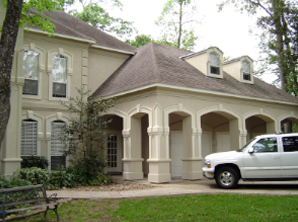 We have had extensive experience in concrete and foundation remediation as well as in subsurface and surface drainage remediation in Texas and California, and Utah. Specializing in remedial construction for over 25 years and associating with some of the best forensic engineers and building scientists in our nation has given us a unique understanding of construction.